After waiting for months since my last foray on the Fife Commuters, the planets finally aligned and the 2 that I need of the early batch, 68003 & 68005, were finally out together - so popped up and got em in the book ! 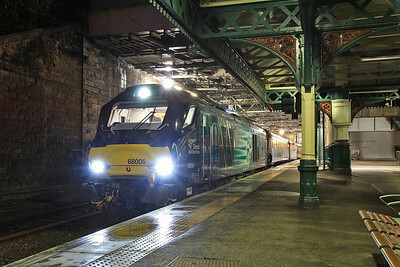 68005, Edinburgh Waverley, 2G13 17.08 to Glenrothes with Thornton - 15/01/16. 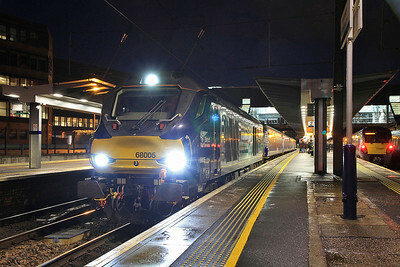 68005, Haymarket, 2G13 17.08 Edinburgh-Glenrothes with Thornton - 15/01/16. 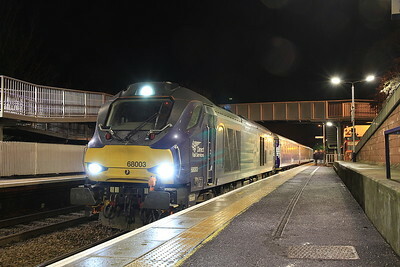 68003, Inverkeithing, 2L69 17.20 Edinburgh-Cardenden - 15/01/16. 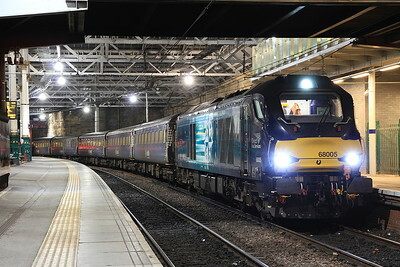 68005, Edinburgh Waverley, 2K14 18.15 ex Glenrothes with Thornton - 15/01/16.